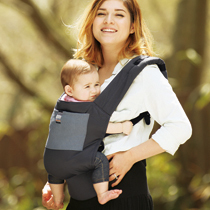 A company that think together with customers in supporting the healthy growth of your baby. 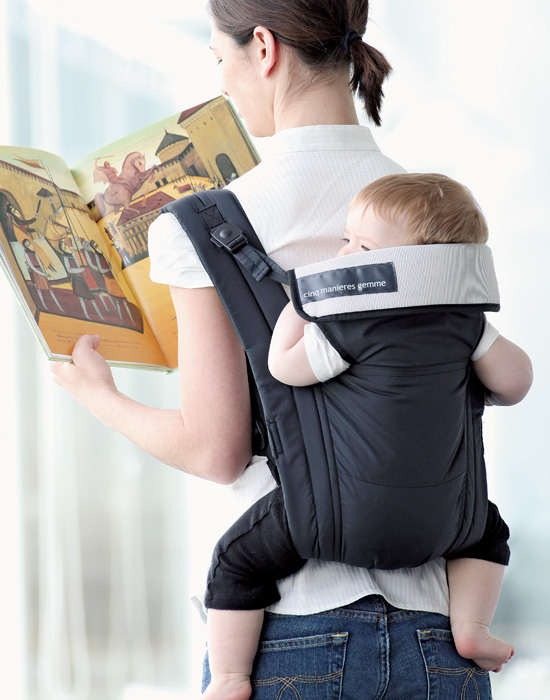 Evacuation baby carrier supported with your waist. Can be used for front carrying and piggy back positions. 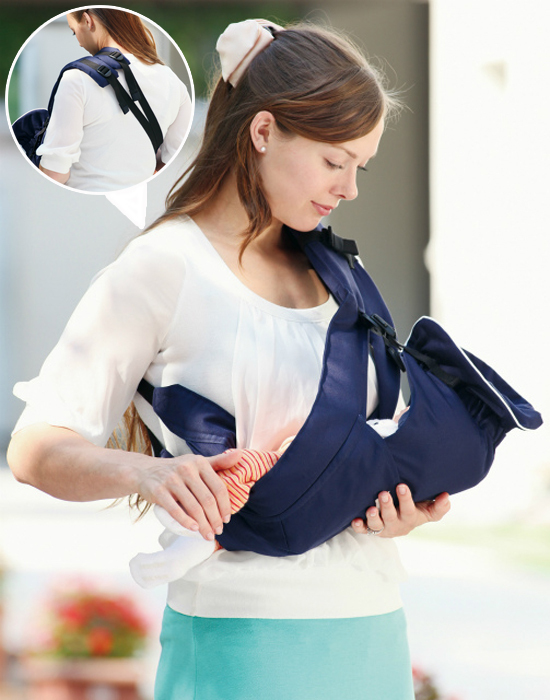 Quick carrying during emergencies, and keeps your hands free. Equipped with reflectors and a whistle to request assistance. Comes with a storage bag which may be hanged on to the wall to pull out promptly. 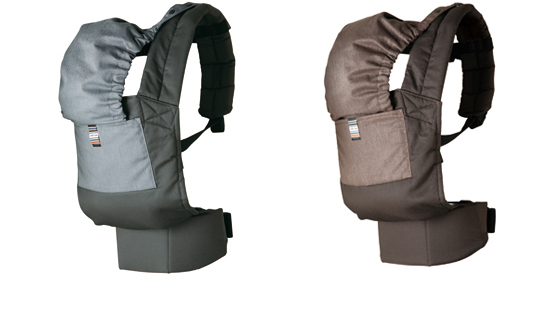 Simple carrier which can be used in 2 carrying positions, for babies that can hold head upright until 36 months. 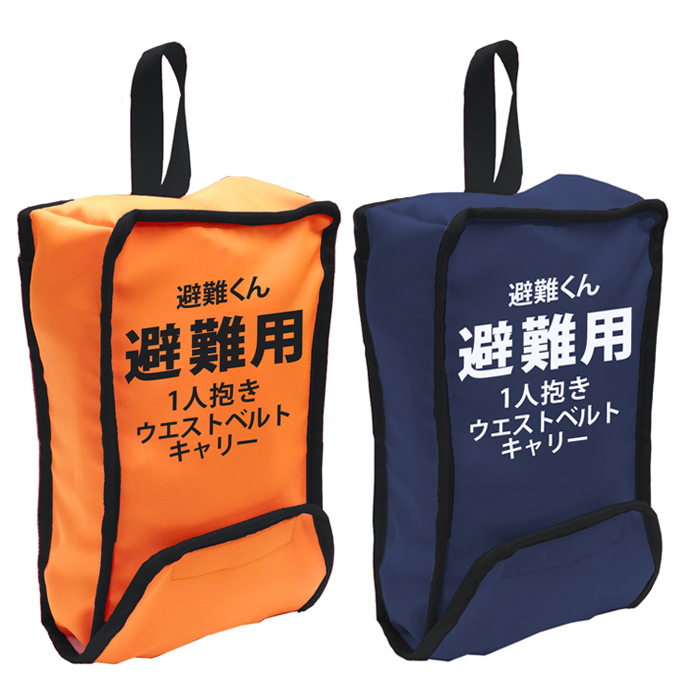 Can be compactly folded into its front pocket for your convenience carrying them. 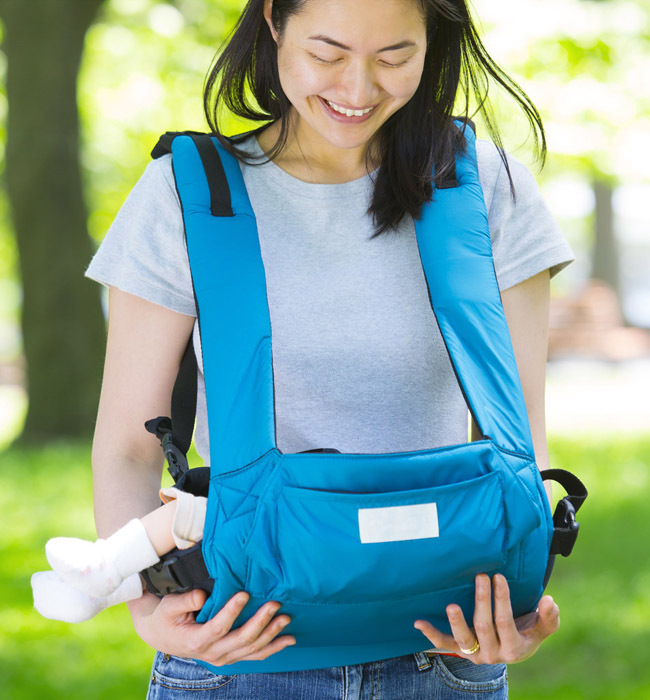 Comes in handy when baby gets fussy while going out on the stroller. 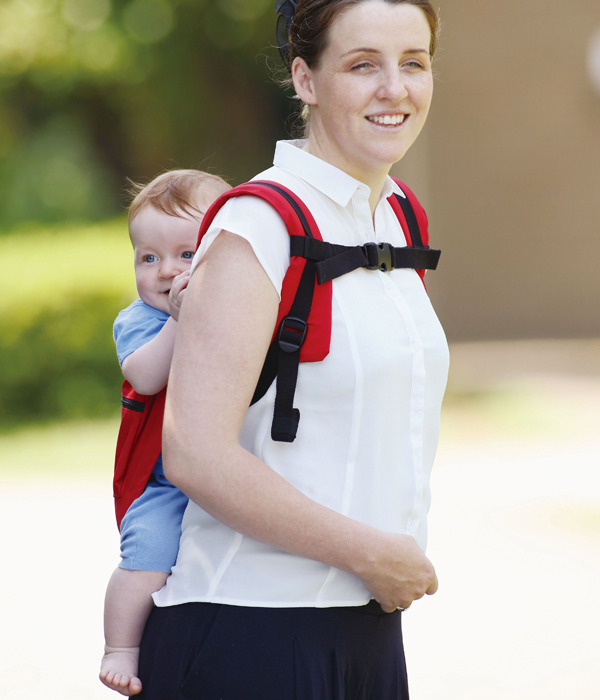 Baby carrier supported on your waist, for face-inward and piggy back positions. 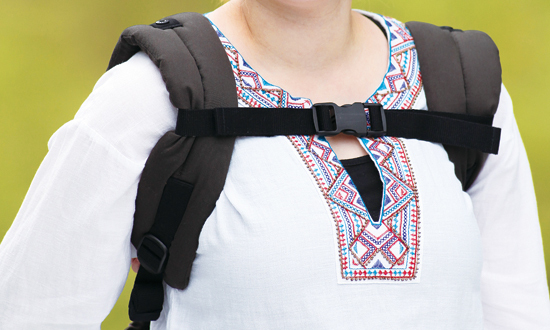 Cushioned shoulder belts and padded waist belt that firmly wraps around your waist, diminishes pressure onto your shoulders, allowing you to carry with stability. 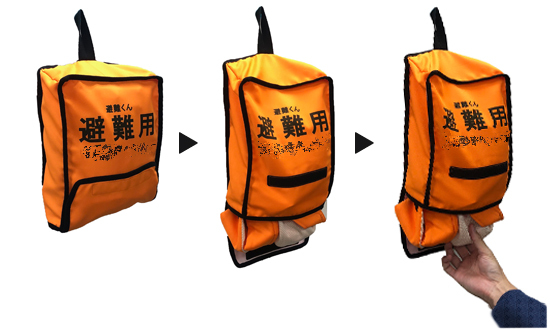 Comes with a pocket that you can store sleeping hood, towels or cooling gels. 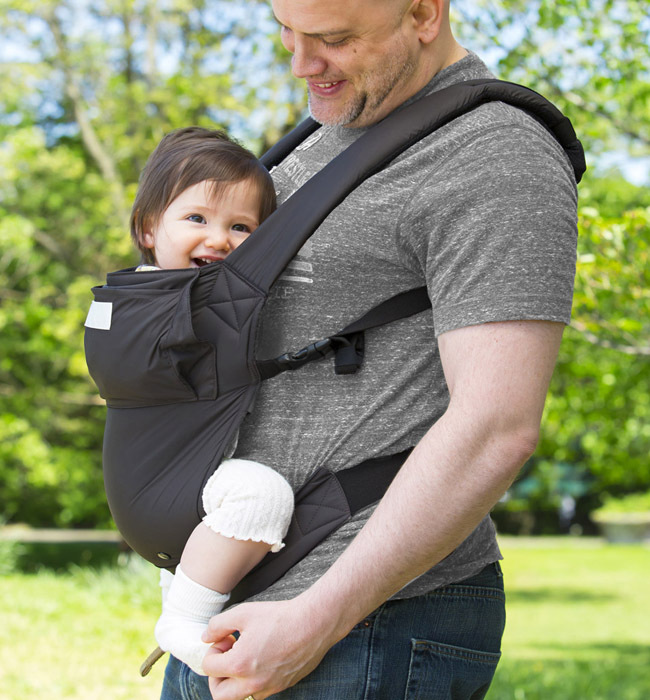 Unique functional fabrics are used for the hood, the carrier, and waist pad linings. Cubical structured hood comfortably covers the head. 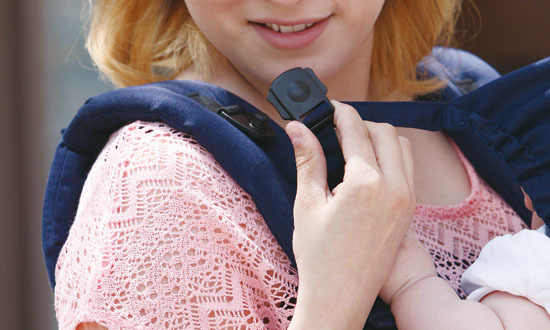 The hood buckle can be attached simply by putting it on top of each other. The bridge belt prevents the shoulder belts from sliding off. 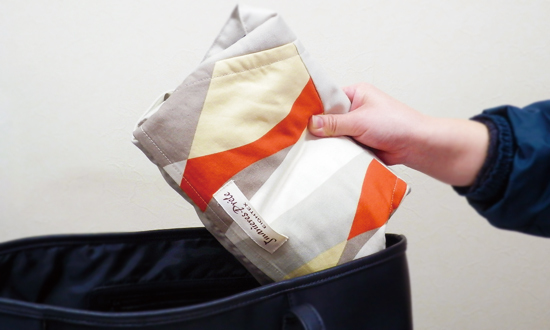 Can be folded compactly for your convenience going out. Various functional materials are used for the lining. 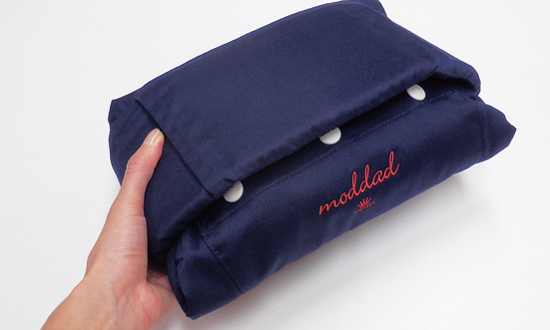 Comes with a pocket that you can put away sleeping hood or store towels and cooling gels. Cubically designed hood are made with breathable fabric and has smooth texture. Can be adjusted to 3 different lengths. 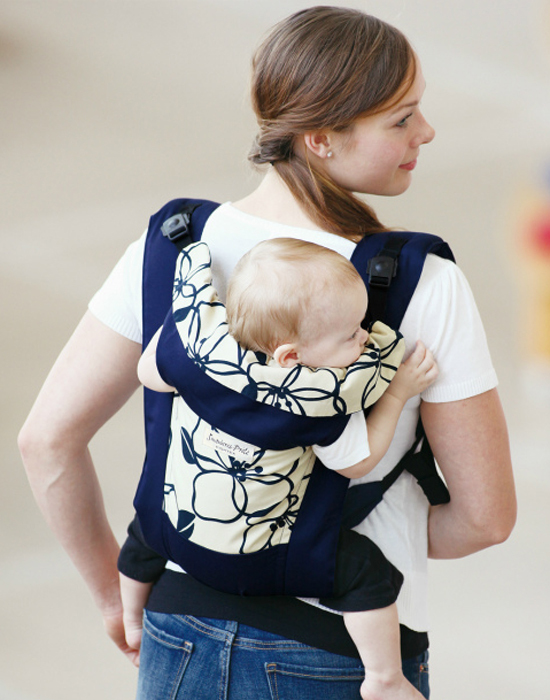 Calming two-tone color is designed for uses by both moms and dads. 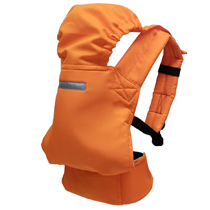 The hood can be easily attached with snap-on fastener, adjustable to 3 lengths. Larger sized hood covers the entire head for added comfort. 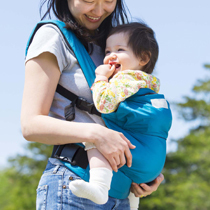 May be used in 5 different carrying positions from newborns up to 3 years old. 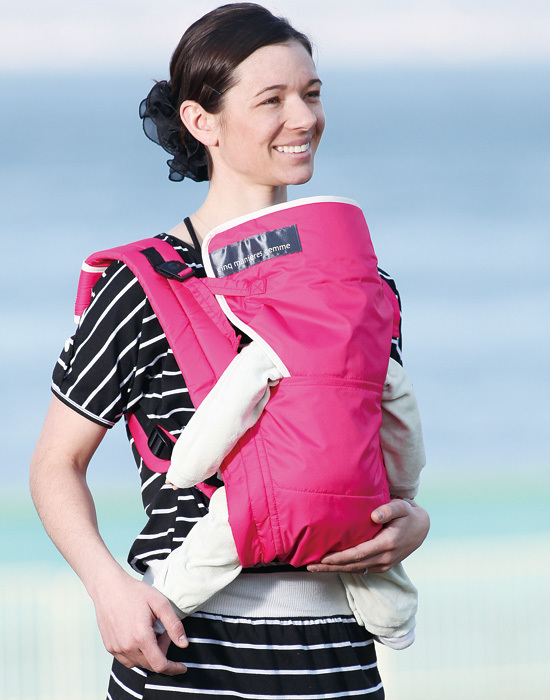 The newly developed pillow complies with the revised SG standards on vertical carrying of newborns. 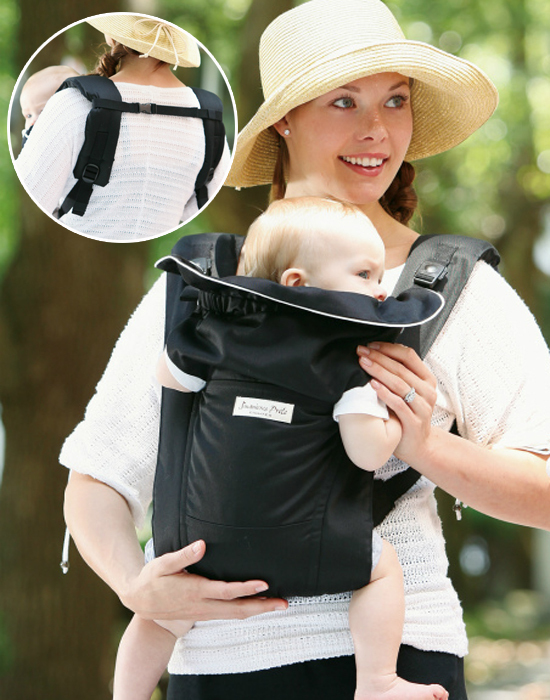 There is no waist belt, so it fits well with smaller infants. 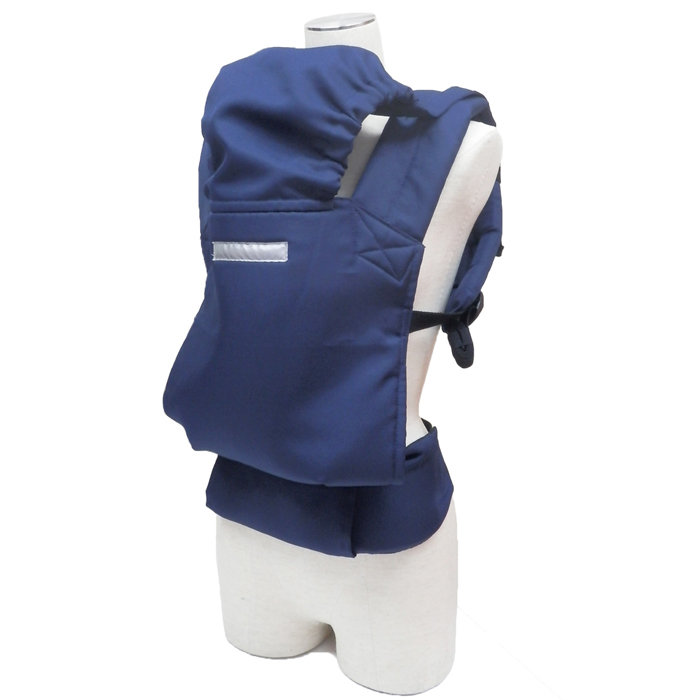 Perfect as a primary baby carrier for newborns, or secondary baby carrier to keep on hand. 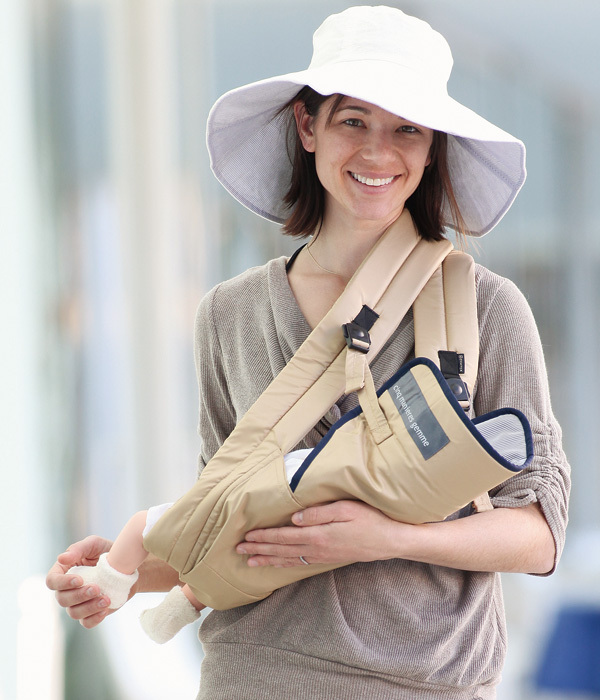 Comes with a pillow that gently supports the neck & head of newborns. 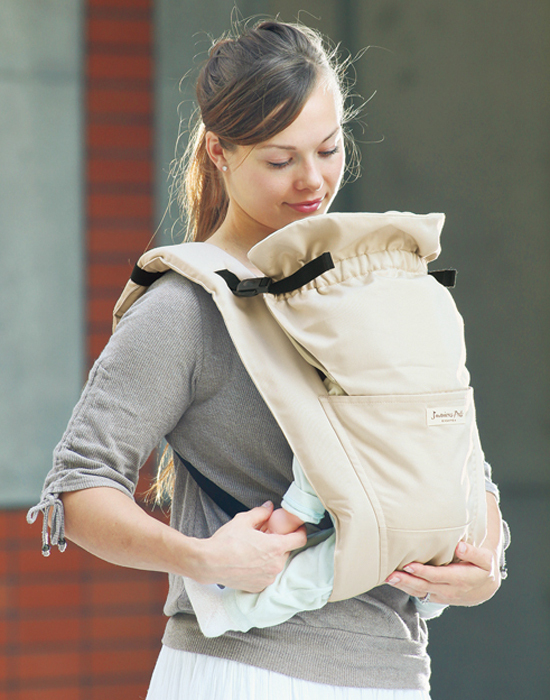 The sleeping hood can be stuffed away, providing increased views for the baby. 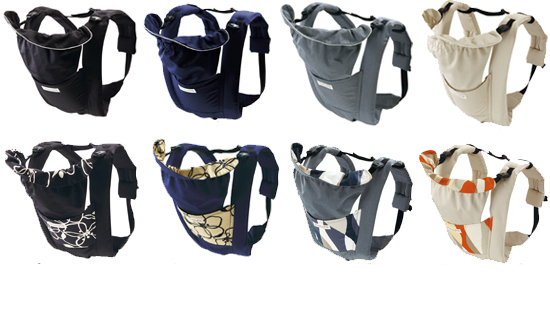 Can be folded very compactly, fitting inside most diaper bags. The lining fabric “AQUA DRY” quickly absorbs and dries sweat for smooth comfort. 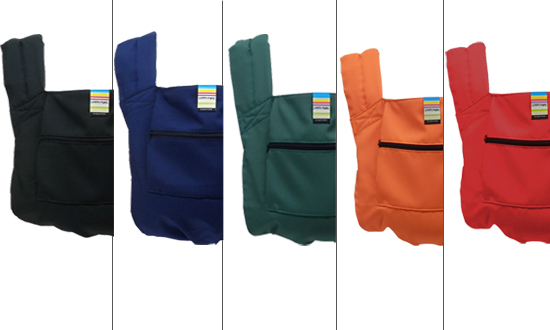 8 different color variations to choose from. 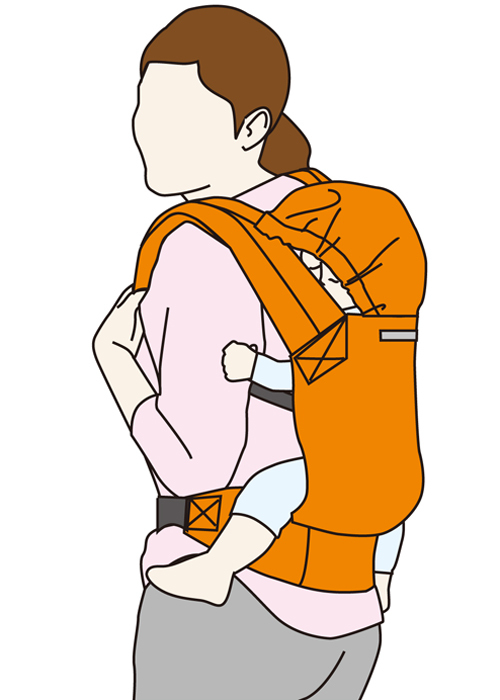 2 position baby carrier for face-inward and piggy back positions. Wide waist belt takes pressures off from your shoulders. The thinner type shoulder belt allows better fit with your body. Unique cubical structure supports and stabilizes the baby’s bottom. 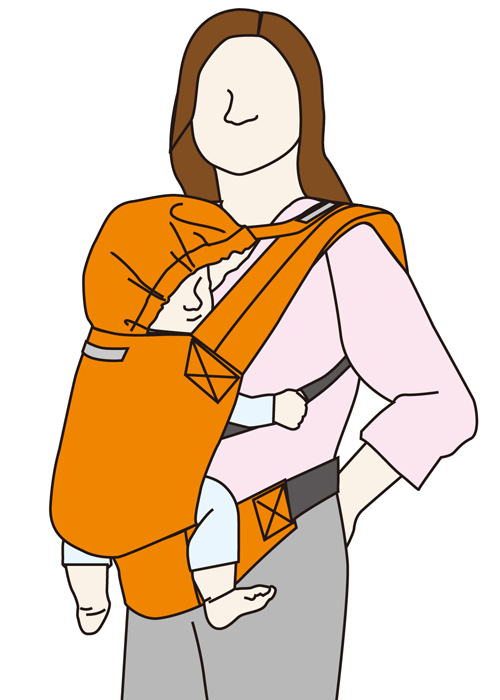 The sleeping hood supports the baby’s head. 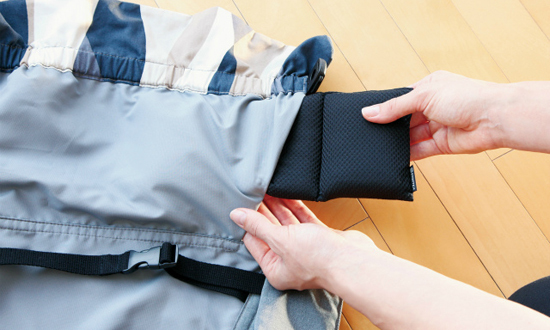 The waist belt decreases pressure applied on your shoulders. 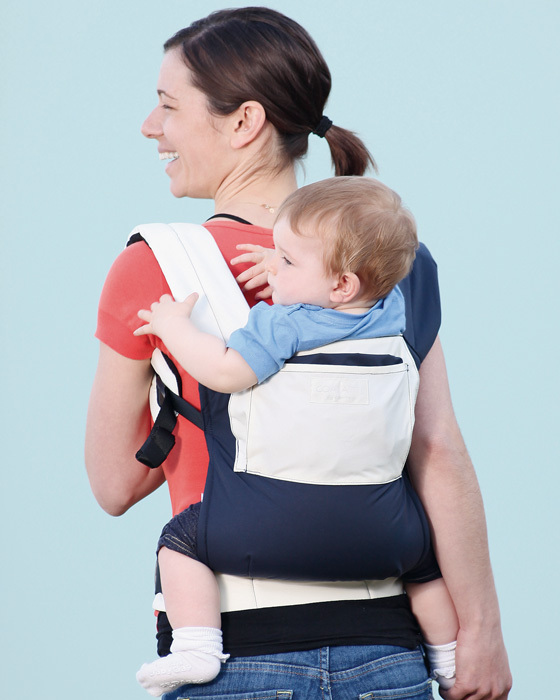 Side carrier supported on shoulder and waist. Width of the pad can be adjusted to diminish pressure on shoulders. Unique waist belt for a stylish look. Can be rolled up and stored compactly. May be used on either shoulder. 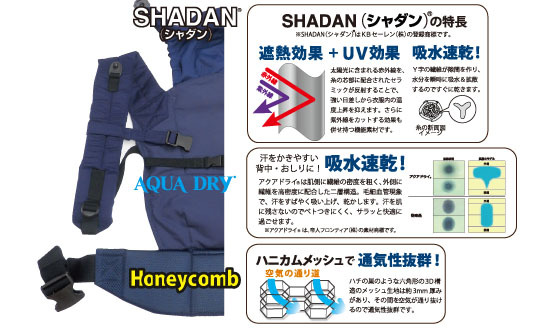 Adjustable shoulder pad can be widened to split applied pressure. Can be rolled up compactly for your convenience going out. Waist belt with unique geometric pattern. 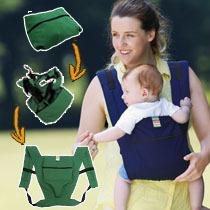 3 way carrier allowing cradle hold position with the use of waist belt. 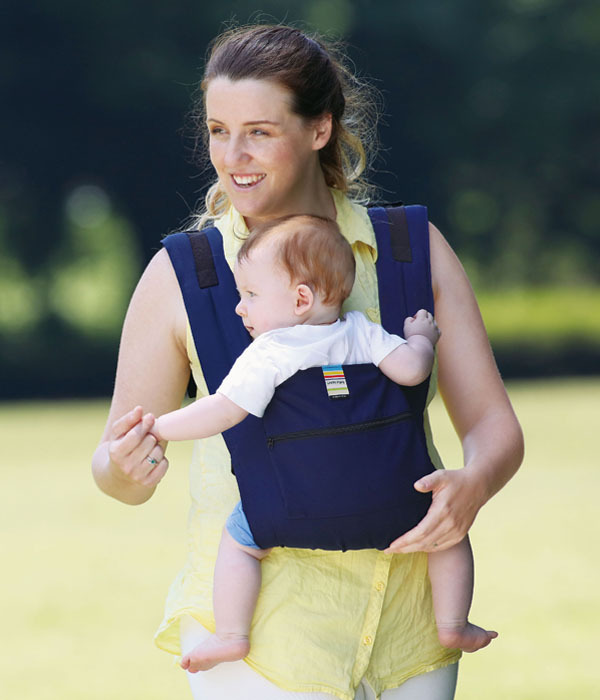 Can be carried on either front or back, up to 36 months. 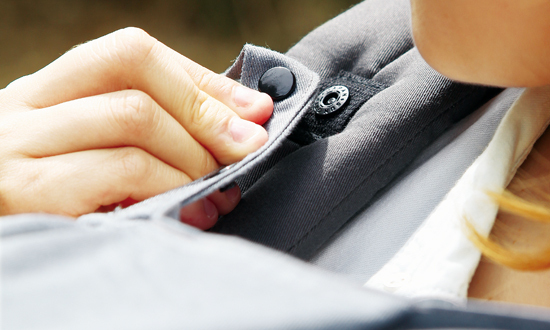 Large pocket located on the front of the carrier for your convenience. Uses material with smooth texture, and highly breathable lining. Fits in most bags by rolling it up. The sleeping hood blocks UV for increased comfort. Bridge belt prevents the shoulder belts from sliding off. 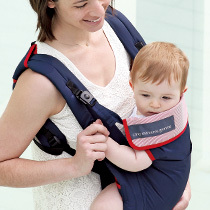 Baby carrier with waist belt, carried on either front or back. The outer material is water repellent for increased resistance to stains. 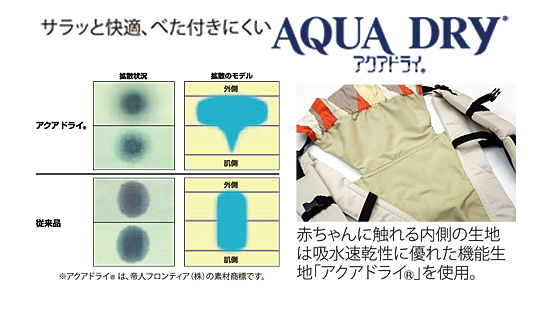 Breathable fabric also has water repellent effect. 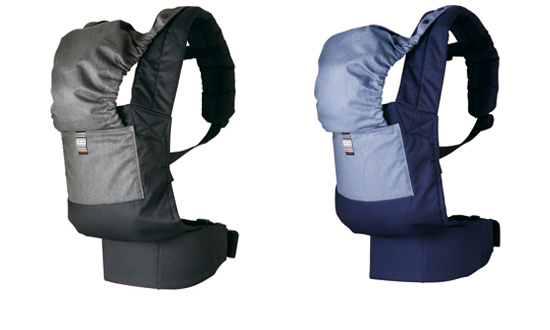 5 way multi-function baby carrier for cradle, snuggle, face-inward, face-outward, and piggy back positions. Outer materials have anti-bacterial effect, diminishing the multiplication of germs produced from sweat. 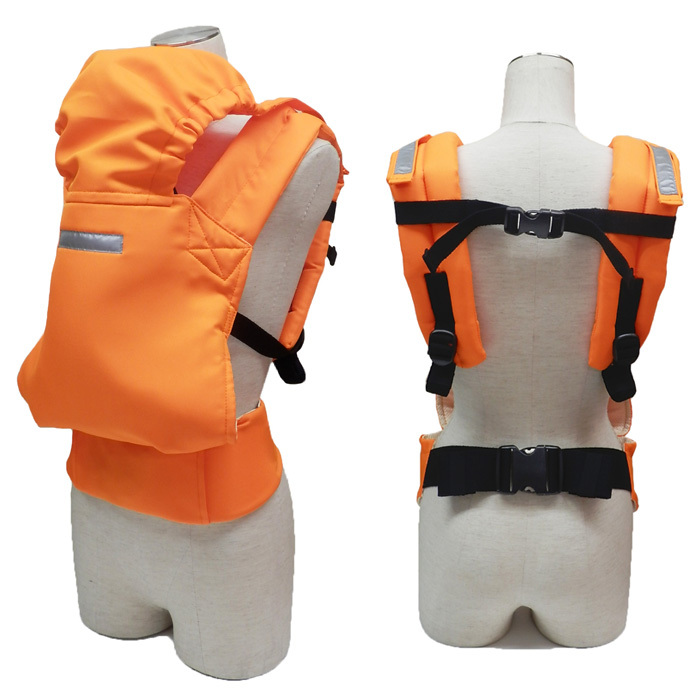 The lining have a point contact structure with water absorbing material. Blocks 94% of UV. 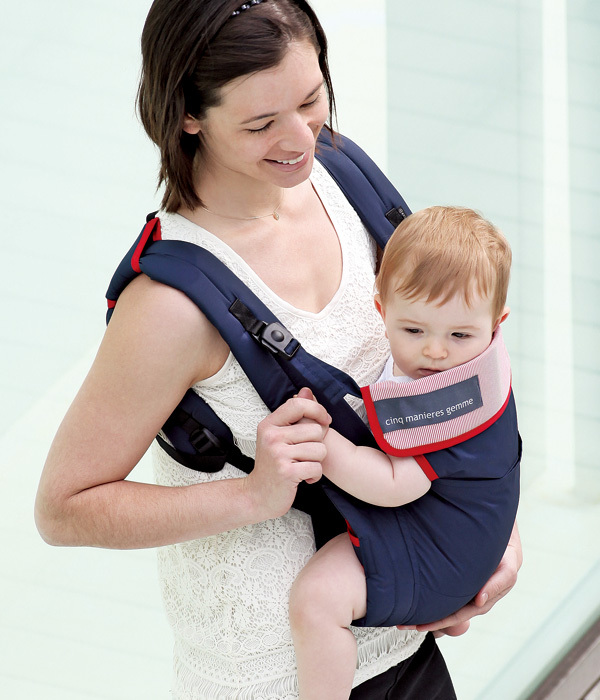 Improved V-shaped waist pad keeps the baby close to guardian. 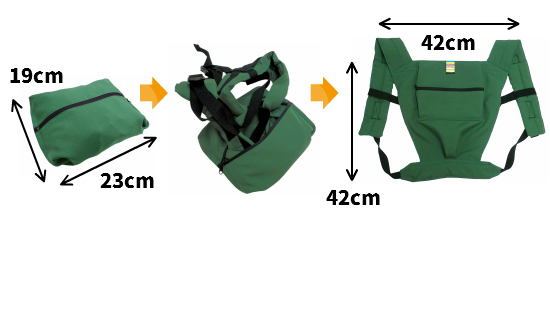 Ultra-light product weight of 280g, and fits in most bags without hassle. 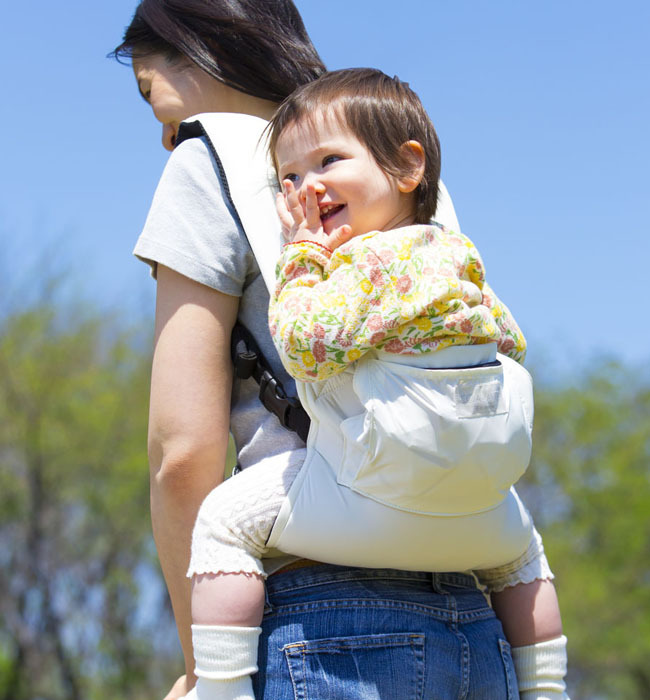 Cushioned shoulder belts support baby with better stability. 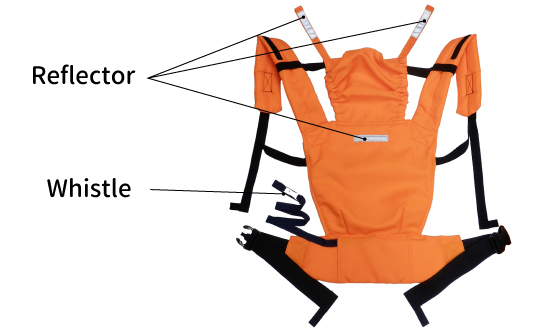 Wider bridge belt attachment connects shoulder belts without creating wrinkles. The sleeping hood may be put away for your baby's comfort. 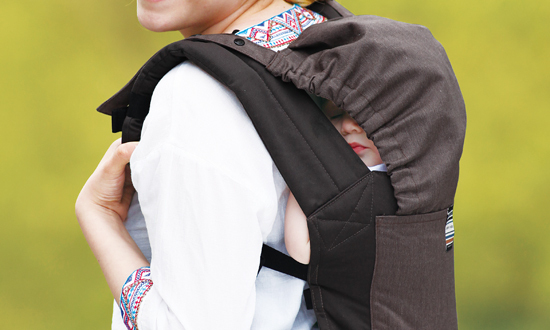 The sleeping hood can be attached with a simple one-step buckle. 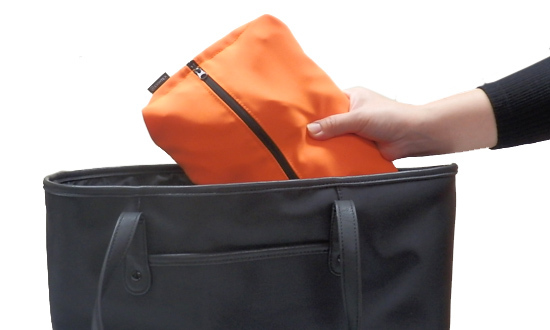 It can be rolled up and easily put away in most bags. Outer materials have anti-bacterial effect, and the lining have UV protective effect. © 2012 eightex inc. all rights reserved.